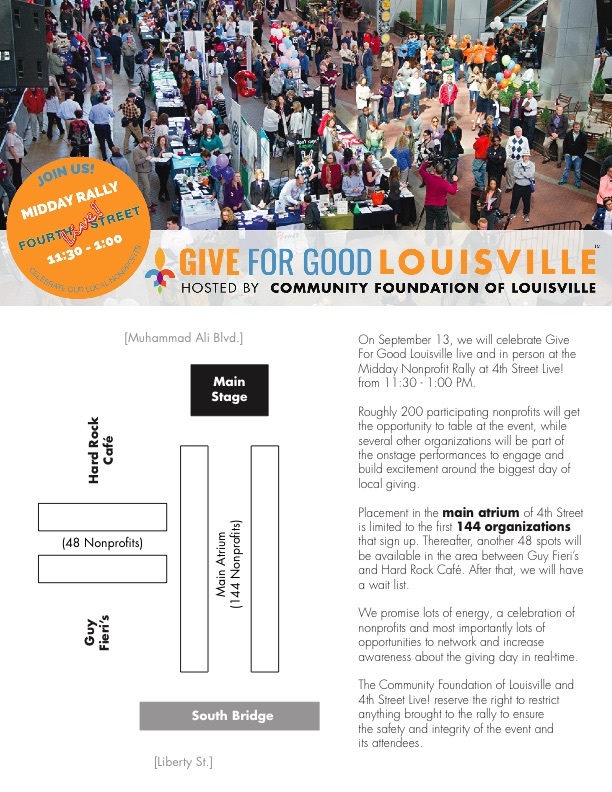 On September 13, we will celebrate Give For Good Louisville live and in person at the Midday Nonprofit Rally at 4th Street Live! Roughly 200 participating nonprofits will get the opportunity to table under the atrium on 4th Street, while several other organizations will be part of the onstage performances to engage and build excitement around the biggest day of local giving. If your organization does not receive one of the tables at the rally, we still encourage you to come out and enjoy the fun. Feel free to wear your organization's t-shirt, hand out flyers, invite your constituents, and use it to promote your participation in the biggest day of local giving on social media. We promise lots of energy, a celebration of nonprofits and most importantly lots of opportunities to network and increase awareness about the giving day in real-time. One of the great things about #GiveForGoodLou is the number of events nonprofits host around the community to raise awareness and connect with their supporters around the biggest day of local giving. 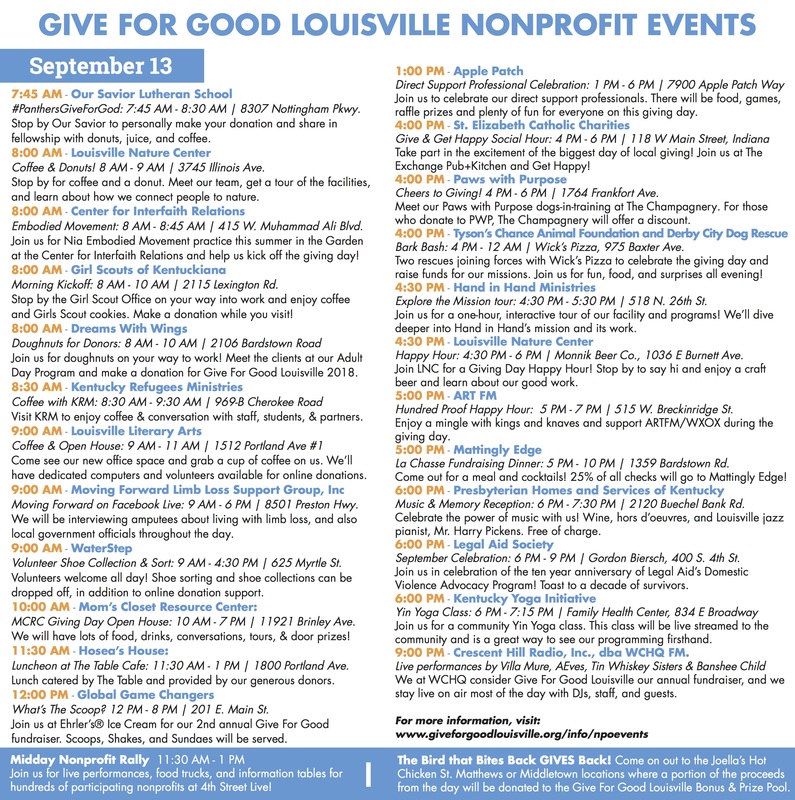 If your nonprofit is hosting a Give For Good Louisville event, let us know the details by using the link below. We will share these in the Courier Journal Giving Guide, with other media outlets, and online leading up to September 13.